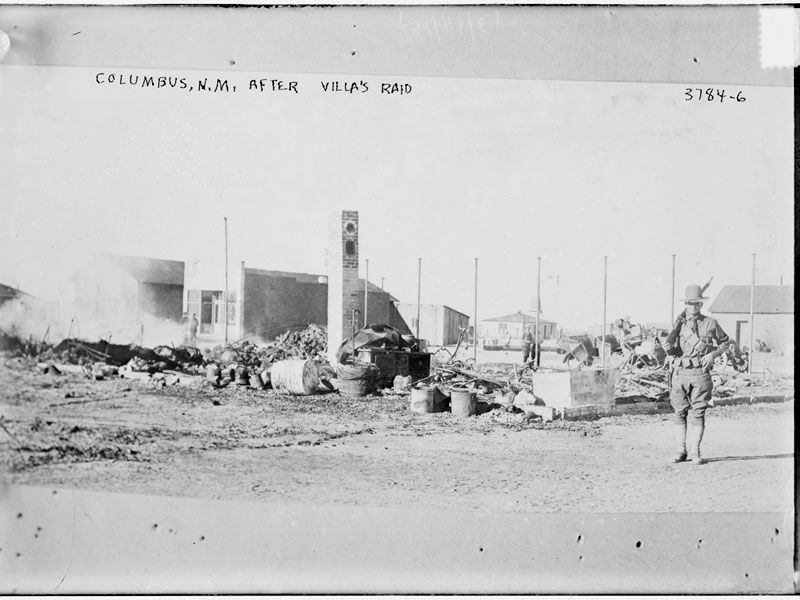 At 2:30 on 9 March 1916, several hundred troops under the command of Francisco “Pancho” Villa crossed the border separating the United States and Mexico and attacked the small Army garrison at Columbus, New Mexico. 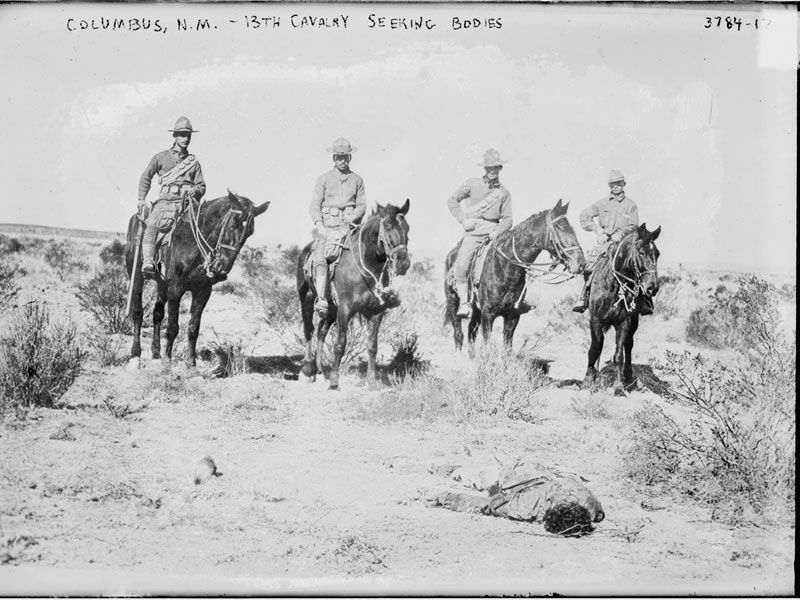 The raid was a surprise to the still sleeping men of the 13th Cavalry, who were responsible for patrolling the border around town. After about two hours of fighting, and a brief pursuit of Villa’s men into Mexico by Major Frank Tompkins, the attacking bands dispersed into the deserts of Chihuahua. 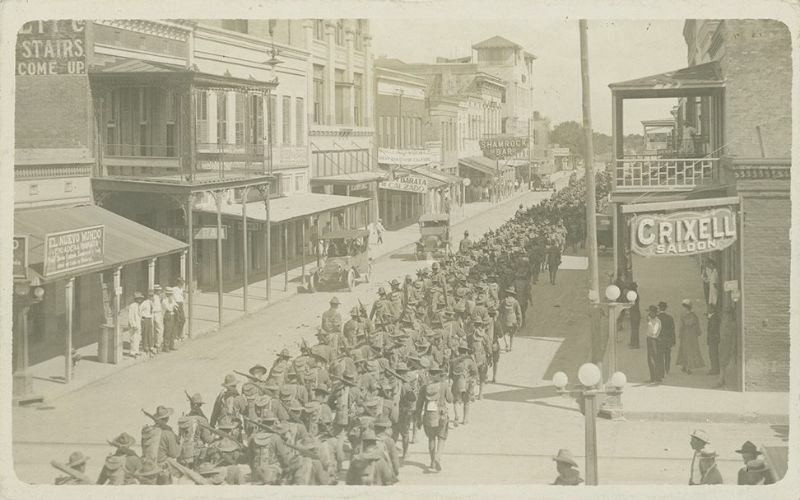 Due to the work of a telegraph agent in town, the public heard about the raid almost as it was happening, and within twenty four hours, President Woodrow Wilson decided to send the U.S. Army into Mexico. Known as the Punitive Expedition and led by Brigadier General John J. “Black Jack” Pershing, the goal of the campaign was to capture Pancho Villa and those men responsible for the raid. The Columbus raid was a minor skirmish in a much bigger conflict. The Mexican Revolution began in 1910 as a revolt to remove Porfirio Díaz, the aging dictator of Mexico, from power, but as revolutionary factions fractured, the war became a large scale political and social revolution that transformed the republic. Villa was the head of one of the most powerful of these factions, but his fortunes declined after breaking from the Constitutionalists, led by General Venustiano Carranza. When Wilson recognized Carranza as the legal president of Mexico in October 1915, Villa became enraged. This resentment boiled over into a series of attacks on U.S. citizens in Mexico by Villa’s forces, culminating in the attack on Columbus. The Punitive Expedition was comprised of 4,800 men from the 7th, 10th, and 13th Cavalry, 6th Field Artillery, the 6th and 16th Regiments of Infantry, the 1st Aero Squadron, and medical personnel. The 10th Cavalry was an African American regimen. 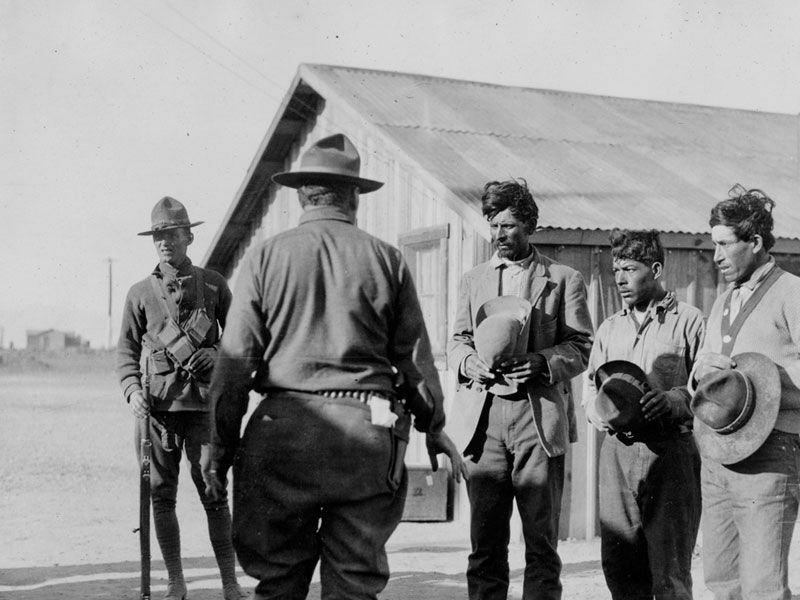 Known as buffalo soldiers, these troops were mostly led by white officers, with the exception of Major Charles Young, who was one of only three African American officers in the U.S. Army. 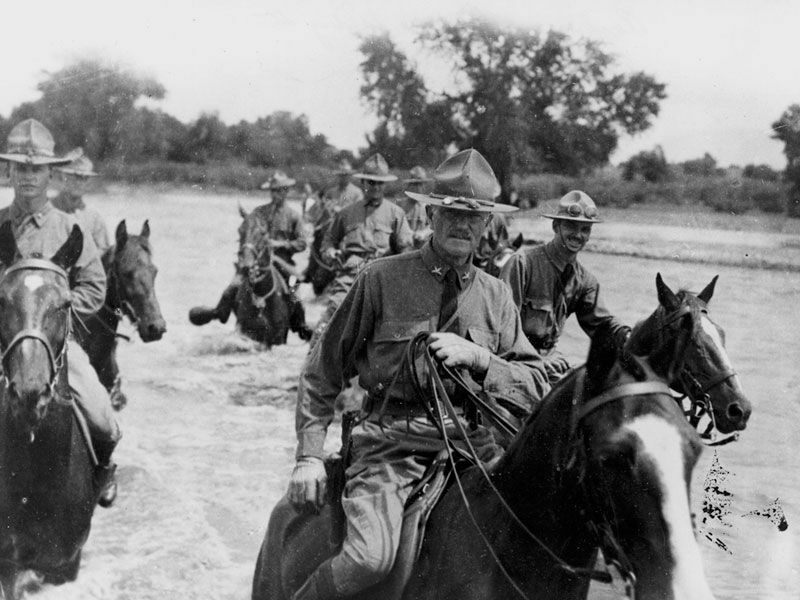 The expedition entered Mexico on 15 March 1916 in two columns, one led by Pershing that crossed the border at Culberson’s Ranch and a second that crossed near Columbus. Pershing’s column arrived first at Colonía Dublán and then split into three provisional squadrons, all of which went south on different paths to pursue Villa and his forces. One of these provisional squadrons composed of soldiers of the 7th Cavalry and led by Col. George A. Dodd rode to the town of Guerrero on the hunt for Villa. Left without reliable guides, the 7th Cavalry spent the night of 28 to 29 March traveling a circuitous route to the town, arriving at about 0800. Villa had been shot in the leg during a skirmish in Guerrero on 27 March and was taken to a home in the area, where he stayed before leaving in the direction of Minaca at daybreak on 29 March. Dodd skirmished with retreating Villistas, but did not see Pancho Villa himself. The expedition was never closer to capturing Villa. While the three provisional squadrons pursued Villistas, the column that entered Mexico from Columbus was divided into four “flying columns,” so named because they were small, highly mobile, and expected to provide for themselves materially in the field. As these squads combed Chihuahua, Pershing moved his main base of operations further south to San Geronimo and then to Satevó to be closer to the cavalry. These columns were assisted by the 1st Aero Squadron, which was mostly tasked with delivering messages and doing reconnaissance. This was the first major Army operation in which planes were used in the field, and the expedition revealed serious deficiencies in the eight Curtiss JN-3 biplanes that the squadron brought to Mexico. Besides their inadequate number, the planes had difficulties flying in Chihuahua’s high elevations, heat, wind, and sand. By April, all of the planes had been grounded. On 12 April, one of these flying columns under the command of Maj. Tompkins, supported on each flank by squadrons riding further north, decided to go to the town of Parral after contracting for supplies and fodder. Upon their arrival, General Ismael Lozano, who was in charge of local Mexican government forces, requested that Tompkins depart, while a mob of civilians formed. Tompkins refused, and asked Lozano to provide him with a spot to camp. On the way to this camp, his squad skirmished with government forces, called Carrancistas, and with civilian members of the mob. This clash precipitated a diplomatic crisis that led Wilson to order Pershing to move his headquarters back north to Colonía Dublán and give up the active pursuit of Villa. Flying columns were replaced by squads that patrolled a grid around Dublán. Still, small skirmishes between Pershing’s forces, Villistas, and Carrancistas continued even after the end of active pursuit. After another raid north of the border on the tiny settlement of Glen Springs, Wilson ordered the National Guard to mobilize to protect the border. Units from Arizona, Texas, and New Mexico came first, but when their numbers proved small, Wilson ordered the National Guard to send troops from the rest of the nation. Eventually, over 100,000 National Guard spent the next several months training along the border. In Mexico, a patrol squad led by Captain William T. Boyd was ordered to do reconnaissance in the area of Ahumada. 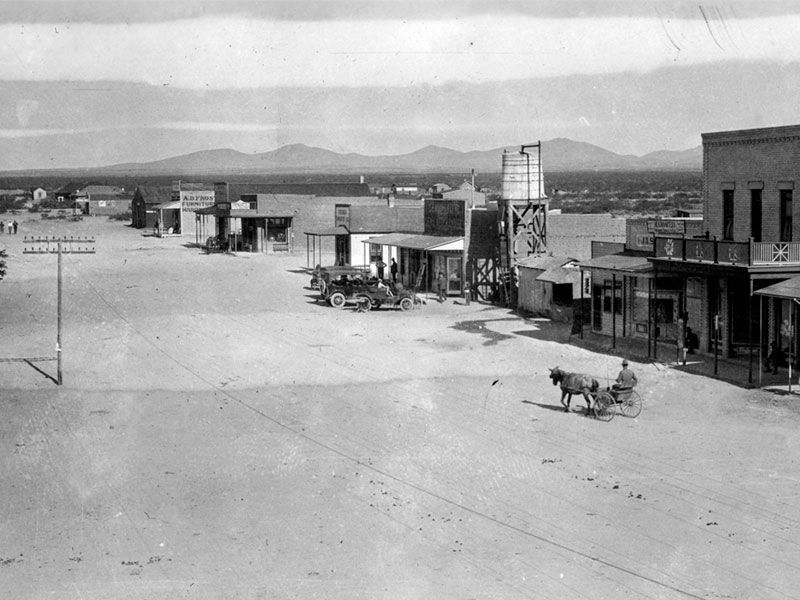 On the way there, Boyd insisted on passing through the town of Carrizal even after being denied permission by Carrancistas. This led to a skirmish in which nine troops were killed and twelve were wounded. In addition, twenty three soldiers were taken prisoner. The fallout from this action led to the establishment of a joint Mexican-U.S. commission to negotiate Pershing’s withdrawal and orders for the expedition to stay in the vicinity of Colonía Dublán. The soldiers of the Punitive Expedition ceased patrolling, but they kept busy until their withdrawal on 5 February 1917 drilling and training. In the end, Pershing did not capture Villa, but he did receive valuable experienced that served him in his role as leader of the American Expeditionary Forces in WWI.